A Microdermabrasion facial is an effective and proven way to achieve radiant youthful skin and, as a delicate treatment, it’s ideal for those with sensitive skin. As the aging process sets in, regular facials become an important part of your beauty routine, helping your skin stay forever young. We also understand that no two faces are the same, which is why we use our state-of-the-art digital technology to scan your skin, helping us to identify a treatment that works for you. Now you can experience for yourself one of Beauty Work’s most effective and luxurious facial treatments. Based on the work of Dr Christine Schrammek, who has been an industry leader in innovation and development for over 50 years, these treatments use concentrated age-defying natural ingredients, including plant-based bioactive peptides, hyaluronic acid, and vitamin B3. This indulgent facial will also put your mind at ease, as it has been sourced from entirely natural ingredients and is completely free from animal products and animal testing. Environ’s age-defying facials are some of the most revered and respected in the industry. Combining science and cutting-edge technology, they are able to purify and replenish the skin by focusing on replenishing essential nutrients and moisturising, creating an even youthful tone and a dazzling glow. We all want a little more lift to our face, with perky skin and standout cheeks, but often the options can seem invasive or overly complicated. 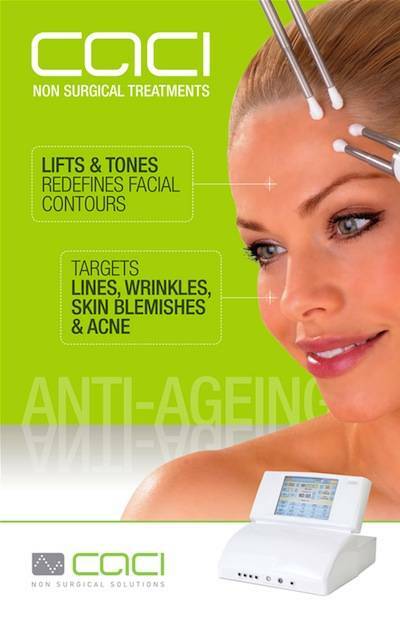 The CACI Uplifting Facial changes all that, by temporarily toning the facial muscles through the application of microcurrents. For the best results, we recommend a course of 10 treatments. Dr Christine Schrammek is one of the foremost experts when it comes to skincare and dermatology. One of her key philosophies is that ‘the skin has many faces’. The Environ active vitamin facial is the ideal pick-me-up to revitalise and brighten skin that is in need of a little bit of love and care! This uplifting and invigorating facial uses Environ’s powerhouse combination of active ingredients, including key vitamins A, C, and E.
Biodroga products are backed by over 50 years’ experience when it comes to research and innovation in skin care products. And they are keen to emphasise treatments that work for all people. This makes them ideal for our range of custom facials, which focus on finding the problem areas for your skin, and remedying and revitalising them. We all know how hectic modern life can be and, despite our best efforts, this often means we neglect our skincare. This express Biodraga facial gives you all the benefits of a high-end clinical treatment, but in a condensed 30-minute package. Ideal for a morning lift, or even to get your skin ready for a long night out! Dermalogica have pioneered a number of leading express treatments. So you’re in good hands with a Dermalogica facial that will give you a handy shortcut for getting glowing, revitalised skin in no time at all. If you need a little lift for a special occasion, but you’re short on time, this is a reliable combination treatment that exfoliates the dead skin cells while massaging the skin. Removing blemishes and impurities and leaving the skin clear and smooth, the micro pulses massage the skin, stimulating and toning the skin tissue and improving circulation. The result? A more even skin tone, firmer skin, and a revitalised complexion. This microdermabrasion treatment from Crystal Clear is a relaxing and revitalising facial with a unique twist. As this treatment includes a gentle exfoliation and resurfacing of the outer layers of the skin, which produces visible results when it comes to countering blemishes, open pores, blackheads, and much more. 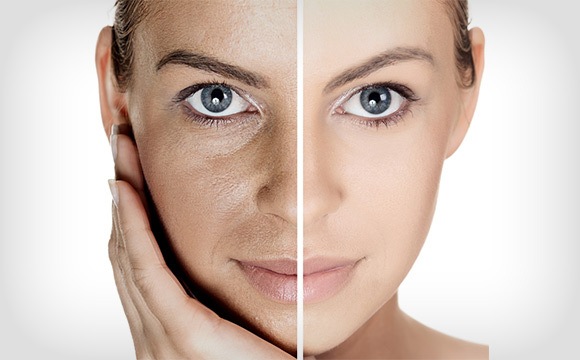 For more problematic skin types, multiple treatments may be required. Created by Beauty Works in conjunction with expert advice and guidance from leading medical technicians, the BWL Ultrapeel is at the forefront of microdermabrasion treatments. Using state of the art technologies and techniques, such as digital crystal flow, pressure and vaccum adjustments, this treatment can be tailored to specifically meet the needs of your skin, leaving you with rejuvenated, revitalised and perfect skin. For more problematic skin types multiple treatments may be required. For further information about our rejuvenating facials and peels, please get in touch.